Anthea Mary Fraser (born 1930) was inspired by her novelist-mother to be a writer, but her own first published novel had to wait until 1970. The 1974 paranormal novel Laura Possessed was her first break-through success, followed by six other books in a similar vein and some romantic suspense titles before she turned to crime fiction. She created two series, the first with Detective Chief Inspector David Webb of the Shillingham police, totaling 16 novels in all from 1984 to 1999. The second is a series Fraser debuted in 2003 featuring biographer/freelance journalist Rona Parish, with the last of six books published in 2008. Fraser also served the crime fiction community as secretary of the Crime Writers' Association from 1986 to 1996. 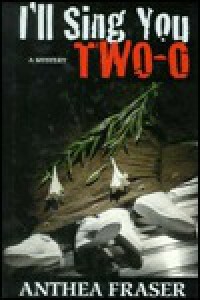 The first twelve in the DCI Webb series all take their titles from the lyrics to the English folk song "Green Grow the Rushes-O," including "I'll Sing you Two-O" from 1991, the ninth entry in the Webb roster. The case is set in motion when clothing store owner and part-time town magistrate Monica Tovey finds a van abandoned outside her home. But when the van's gruesome contents—the bodies of the football-mad, window washing, petty-thief White twins—are discovered, unsettling events disturb the serenity of the English town of Shillingham, and Monica suddenly finds her own life in danger. DCI Webb begins to suspect that recent town burglaries, near-riots among soccer fans, low-flying airplanes and mysterious phone calls may not be unrelated to the case. Webb is also an accomplished artist, and he frequently calls upon his skills to record his impressions and hone in on the murderer, as he does here. Fraser has taken some heat in the past for creating unconvincing and/or unlikely killers but also collected frequent praise for her rendering of small-town settings, with Publishers Weekly noting that "Fraser's rendering of an English community is again impeccable, enabling a reader not only to take pleasure in the mystery itself...but also to feel part of the life of a small, worried town," and Kirkus adding that it's "a competent, civilized police procedural, enhanced by sensitive probing of snarled relationships and a nicely drawn small-town ambiance." PW also once characterized Fraser's writing as "succinct," with "her plots developed quickly, her prose straight to the point, with neither narrative nor character suffering from this brevity." And the book does fly along at a fairly clipped pace, in a very dialogue-heavy manner, although the investigation and procedural elements often take a back seat to character interactions. It's interesting to read words the author gave to one character that "We lead container lives nowadays, bound up in our own concerns. It doesn't make for neighborliness." Those words feel even truer today than in 1991, when thanks to technology, we likely know more about some distant celebrity than we do the people on our own street, and people are glued to cellphones even when out "socializing" with others. The book is certainly enjoyable, but I experienced this classic via the original radio series - if you can get your hands on a copy, listen to that first! The dime novel detective "Old Sleuth" was the creation of Harlan Halsey and said to be the first character to use the word "sleuth" to denote a detective. Halsey's original detective, who first appeared in 1872 in the six-cent weekly Fireside Companion, wasn't elderly at all but a young man with almost superhuman abilities who liked to disguise himself as an older, bearded man. In the 1880s and 1890s, the character Old Sleuth became popular enough to warrant a separate publication of his own, and several of these issues featured female detectives front and center. In "Old Sleuth's Freaky Female Detectives," published 1990 by Popular Press, the editors explain the term "freaky" for these female dime novel detectives: freakish as in the usage of the day, as in someone who had unusual talents—knife throwers, trick gun marksmen—people who were both normal and abnormal. 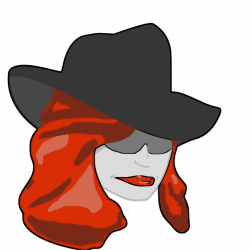 These women sleuths used an androgynous, masculine type of heroism in the stories, but at the end embrace their femininity and end their detective careers to get married. Or as the editors note, "So they [female detectives] were doubly talented; no man of the time could assume the double roles women played as detective hero—hero and weakling, masterful and subservient—or had to. Men did not have to be freaky—women did." 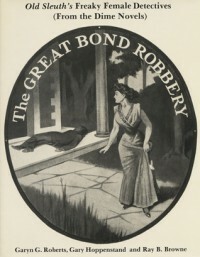 Both the "Lady Kate" and "Robbery" works feature a protagonist named Kate who attempt to prove the innocence of a man wrongly accused of a crime. They use disguises and end up "physically clobbering male villains left and right," thereby saving the lives and reputations of the accused men before promptly marrying the men they rescued. In the third story, "Madge" more closely resembles modern female detectives and uses her powers of deduction. Madge is described as "one of the most brilliant and clever detectives in the great metropolis" and takes on work for the money as much as the thrill. These female detective stories were popular on their own for a time, but by the end of the Great Depression, the dime novel female sleuth had virtually disappeared. Hulbert Footner wrote two mystery series, one featuring the pathbreaking female detective Madame Rosika Storey, and the other featuring a successful middle-aged mystery writer-turned criminologist named Amos Lee Mappin. But even the latter series showed the author's interest in writing women into his novels, as Mappin's sidekick is his young secretary, Fanny Parran. 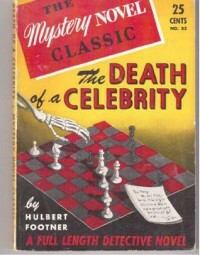 Death of a Celebrity dates from 1938 and is one of the last outings for Mappin, who is described as "not a tall man and far from slender." As usual, Mappin finds himself involved in criminal activity among New York's wealthy social circles. The "celebrity" of the title is famous playwright Gavin Dordress, who throws a party for fellow celebrities who all have reasons to hate -- and kill -- their host: an aging actress is enraged when she finds out Dordress didn't create a role for her in his latest play; the playwright's "best and oldest friend" is jealous because he relies on Dordress for handouts to fund a failed career as a novelist; the suitor of Dordress's daughter feels her father is holding her back from marrying; and Dordress's manager thinks his wife is having an affair with Dordress. As one of the playwright's former classmates and a friend, Mappin is also invited to the party and brings along his secretary Fanny Parran, whose "littleness, her dimples, her blonde curls and her lisp gave her the artless charm of a child, but a man who assumed to talk baby-talk to her was apt to get a shock." The party is anything but jovial, but when Dordress turns up dead the next morning, the police assume it's suicide from the layout of the victim's body. It's Dordress's daugher and Fanny who convince Mappin to consider murder, and as Mappin digs deeper, he uncovers blackmail, revenge, jealousy and a simmering deep hatred that eventually point to one of the party-goers as the killer. Like many of Footner's other stories, Mappin's investigation involves discovering clues left at the crime scene, which he uses to recreate the timeline and events of the murder. The writing is serviceable, if not particularly memorable, nor are Footner's plots intricate, often not playing fair with the reader in laying out the clues. But his characterizations and the interactions between the characters are entertaining. Considering Footner's focus on strong women in his novels, it's not surprising that the most interesting characters in Death of a Celebrity are female. Frederick Merrick White (1859-1935) was an English author who wrote a number of novels and short stories under the name Fred M. White. Although he apparently didn't start publishing his work until the age of 43, over the next 30+ years, he wrote approximately 90 novels and short-story collections and is considered by some to be a pioneer of spy stories. 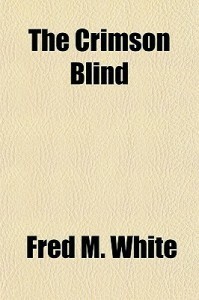 In 1905's The Crimson Blind, set primarily in the coastal city of Brighton, bestselling detective novelist David Steel finds himself in dire financial straits. He's contacted by a mysterious young woman who tells him she will pay his debt in exchange for helping her concoct a plan to get out of a sticky situation. After a late-night meeting to seal the deal, with the woman's identity kept hidden from Steel, the author returns to his home to find it's been broken into, and a near-dead man has been left bleeding on the floor of his conservatory. The police suspect Steel, thanks to an incriminating cigarette case that points to Steel as the culprit. As Steel battles to clear his name, he falls in with Dr. Hatherly Bell, "a small, misshapen figure, with the face of a Byron—Apollo on the bust of a Satyr," a man possessed of marvelous intellectual powers and a secret past, who also happens to have a personal connection to the mysterious woman and offers to help Steel. David Steel dropped his eyes from the mirror and shuddered as a man who sees his own soul bared for the first time. And yet the mirror was in itself a thing of artistic beauty—engraved Florentine glass in a frame of deep old Flemish oak. The novelist had purchased it in Bruges, and now it stood as a joy and a thing of beauty against the full red wall over the fireplace. And Steel had glanced at himself therein and seen murder in his eyes. Overall, The Crimson Blind is a decent and entertaining Victorian mystery, which just happens to be available free via Project Gutenberg. There isn't much biographical available for Marion Harvey, who was reported to have been born in 1900, but due to early publication information and some performance data, the author appears to be American and the author of several mystery novels and plays between 1922 and 1935. The first of these was "The Mystery of the Hidden Room." Hidden Room and two other works (one novel, one play) feature Graydon McKelvie, a Sherlock Holmes-worshipping detective. In addition to noting that the criminal device employed in Hidden Room is noteworthy, SS Van Dine once noted (in "The Great Detective Stories," 1927), "The deductive work done by Graydon McKelvie is at times extremely clever." "The Mystery Of The Hidden Room" is told from the viewpoint of Carlton Davies, whose former fiancee Ruth Darwin was blackmailed into leaving him by the man she ultimately married, powerful banker Phillip Darwin. When the husband is murdered and Carlton finds Ruth standing over him with a gun in her hand one night, she is promptly arrested, tried, and packed off to prison. Carlton never lost his love for Ruth and is steadfast in believing her innocent of the crime, but the New York City police don't share his convictions. He decides to do his own investigating, but since his butler happens to work with Graydon McKelvie, Carlton begs for McKelvie's help, and the chase is afoot. It doesn't take long for McKelvie to learn that practically no one involved with the case is being honest about their activities on the fatal night and several of the bit players are AWOL. The hidden room of the title makes its appearance relatively early in the story, thus it's not much of a spoiler for it to be headlined in the title. 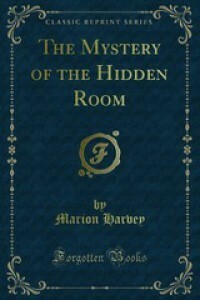 The room in which Darwin was killed appears to be a locked room scenario with burglar alarms on the windows, but even after the secret room is discovered, there remain many mysteries to solve, including a stoneless ring, a new Will naming a mystery woman as the beneficiary, Darwin's missing nephew, and puzzling sachets sprinkled along the investigative trail. McKelvie also has to solve the mystery of a second bullet that can't be found and a lamp that seems to turn on by itself. Harvey's writing is de rigueur for her day, with cringe-worthy dialog tags now considered passe and a bit comical ("'Well, I'll be hanged! ', I ejaculated"), and hints of racism regarding a black servant and some "chink" goons. But the story runs along at a relatively jaunty clip and, although the eventual culprit isn't a huge surprise if you've been paying attention, the journey to the unveiling is entertaining. Albert Payson Terhune (1872–1942) had several careers, eventually settling into journalism and writing. He and his wife also bred collies at their Sunnybank Kennels in New Jersey, and Terhune based most of his writing in the 1920s and 30s on dogs. His first published works were short stories in magazines about his collie Lad, and he collected a dozen stories into the novel "Lad: A Dog." That 1919 work has been reprinted over 80 times and was made into a feature film in 1962. 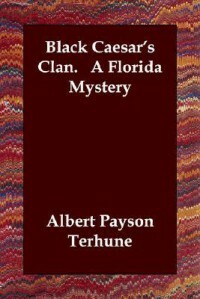 Although not known for writing mysteries, he did pen the novel "Black Caesar's Clan: A Florida Mystery Story," published in 1922. The title comes from the 18th century African pirate Black Caesar, who raided ships around the Florida Keys and served as a chief lieutenant for Captain Blackbeard. One of the only surviving crew from Lieutenant Robert Maynard's attack on Blackbeard in 1718, Caesar established a base on Elliot Key. Terhune's novel is set in and around what is now known as Caesar's Creek, where the descendants of Caesar and his crew chase off treasure hunters looking for Caesar's lost fortune. It was part of a wave of treasure-hunting fiction around the Great Depression, when desperate times called for desperate measures. The plot starts off with a fight between Gavin Brice and a beachcomber over a homeless collie (yes, this wouldn't be a Terhune novel without a collie). Gavin Brice at first appears to be a down-on-his-luck transplant to Florida looking for work. However, he has a hidden agenda for "accidentally" getting himself attached to the shady Rodney Hade and his employee Milo Standish (defending him from an attack with his 'jui-jutsu' skills), in their hideaway plantation. Brice is close to succeeding in his quest until the innocent but beguiling Claire, Milo's younger sister, makes him question the secrets he's been hiding. "Oh, please don't feel sorry for that!" he begged. "It wasn't really as deadly as you made it seem. That is an old style revolver, you see, vintage of 1880 or thereabouts, I should say. Not a self-cocker. And, you'll notice it isn't cocked. So, even if you had stuck to your lethal threat and had pulled the trigger ever so hard, I'd still be more or less alive. You'll excuse me for mentioning it," he ended in apology, noting her crestfallen air. "Any novice in the art of slaying might have done the same thing. Shooting people is an accomplishment that improves with practice." 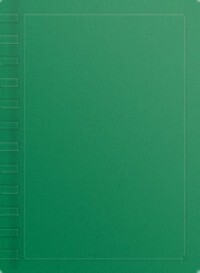 Terhune apparently was conflicted about the mystery genre, as indicated in his Foreword where he talks about "mystery and romance and thrills to be found lurking among the keys and back of the mangrove-swamps and along the mystic reaches of sunset shoreline," but then adds, "Understand, please, that this book is rank melodrama. 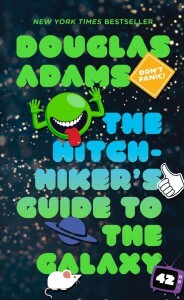 It has scant literary quality. It is not planned to edify. Its only mission is to entertain you and—if you belong to the action-loving majority—to give you an occasional thrill." Terhune is sometimes criticized by contemporary critics for his racist depictions of minorities and "half-breeds." In Black Caesar, Brice even refers to his former Japanese martial arts instructor as "monkey faced." But Terhune was a product of his time, and if you can overlook the occasional cringe-inducing reference, you'll find this a quick, light read. English author Herbert George Jenkins (1876-1923) spent several years as a journalist and then worked for the publishing company The Bodley Head, before founding Herbert Jenkins Ltd., which published many of P. G. Wodehouse's novels. His most popular fictional creation was the Cockney Mr. Joseph Bindle, who first appeared in a humorous novel in 1916. 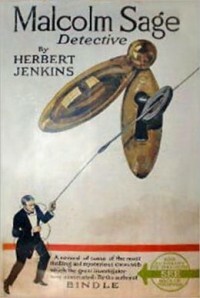 Jenkins also wrote a number of short stories about Detective Malcolm Sage, which were collected into one book in 1921. The stories feature Sage, with his bald, conical head, "determined" jaw, and protruding ears, who worked first as an accountant, but after uncovering shady practices at high levels of the British civil service, he was appointed to the mysterious "Department Z." After the end of the First World War, his old chief from division Z (whose life Sage once saved) set Sage up in his own private detective agency. Sage has been compared to Hercule Poirot and Sherlock Holmes for his style of detective work, with his methods fairly high tech for the time, using such newfangled tools as telephones, photography, and medical evidence. However, as the detective himself notes, he is often more interested in setting traps for the villain than in detecting his original crime. Jenkins also doesn't necessarily play fair with the reader, introducing clues at the end that weren't shown during the story. I have to agree with Mike Grost at GA Detection who noted that the techniques and traps Sage uses often involve considerable social comedy. Although Sage is also a bit on the haughty side, his staff of a secretary, an assistant, a chauffeur and an office boy (himself a devout reader of detective fiction) also provide comic foil to Sage's overbearing attitude. Robert Weinberg is the author of more than twenty-five books, many of them dealing with science and pop culture, and Stefan Dziemianowicz is an independent scholar and writer and expert on pulp fiction. 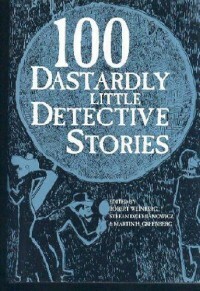 Together they teamed up with the late Martin H. Greenberg to edit 100 Dastardly Little Detective Stories, part of the "100" series published by Barnes and Noble in the 1990s and reprinted about ten years later. The stories selected for this anthology run the gamut from the classics, by O. Henry ("The Mystery of the Rue de Peychaud"), Charles Dickens ("An Artful Touch"), Bret Harte ("The Stolen Cigar-Case"), and Jack London ("The Leopard Man's Story") to more modern practitioners such Marcia Muller and Bill Pronzini. Writing styles cover most of the bases, from hard-boiled to the more Sherlockian-thoughtful detectives. As with most anthologies, there are a few hits and a few misses, but this particular grouping is interesting due to the inclusion of those classic authors who aren't always associated with detective writing, as well as many unknowns. There's also a contribution from none other than Abraham Lincoln, "The Trailor Murder Mystery," which first appeared on the front page of the Quincy Whig in 1843. Coming in at 576 pages, this anthology isn't exactly "light" reading in weight, but there are plenty of gems that will make for an entertaining, quick, read. May Agnes Fleming (1840-1880) was one of the first Canadians to pursue a highly successful career as a writer of popular fiction, reportedly earning $10,000 a year, a princely sum at the time. She wrote somewhere around 40 novels and would have written more if she hadn't died prematurely from Bright's Disease at the age of 39. Despite her literary success, she struggled in her personal life, separating from her alcoholic husband and ultimately excluding him from her will and the upbringing of their four children. This misfortune didn't break her but rather may have inspired the many strong female characters in her novels, both good and evil. "One Night's Mystery" follows the lives and loves of three young women: Cyrilla Hendrick, the daughter of handsome, penniless, scoundrel; her best friend, Sydney Owenson, a naive heiress; and Dolly De Courcy, a spirited actress. Both Cyrilla and Sydney are engaged, although things aren't as they seem in either case. Sydney's gold-digging fiance is besotted with Dolly, while Cyrilla's is arranged through her aunt, whom Cyrilla calls "the crossest, spitefulest old woman on earth." The one night's mystery of the title refers to the disappearance of Sydney's fiance the day before her wedding, but did he run off with Dolly or was he murdered? One Night's Mystery was first serialized in "New York Weekly" and the "London Journal" before being published in book form by G.W. Carleton in 1876, toward the end of Fleming's life. 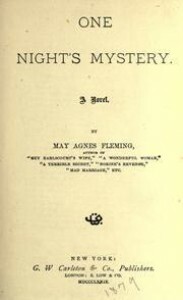 It is a prime example of the type of work Fleming wrote, romantic suspense with a few Gothic elements thrown in. Her writing style is direct, her characters simple but reasonably well fleshed out, and the complicated relationships between the characters thorny and entertaining, if a tad melodramatic. "There were no shops, there were no people; the houses looked at you as you passed with a sad, settled, melancholy mildew upon them; the doors rarely opened, the blinds and curtains were never drawn; prim little gardens, with prim little gravel-paths, shut in these sad little houses from the street; now and then a pale, pensive face might gleam at you from some upper window, spectre-like, and vanish." 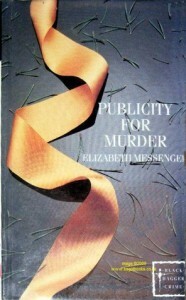 Publicity-for-MurderPublicity for Murder follows in the same tradition of mysteries with an advertising/marketing theme that Dorothy Sayers popularized in her novel "Murder Must Advertise." The story begins with the apparent suicide of the partner of an ad agency, who leaves his entire estate to his colleague, David Eversleigh, instead of his selfish, glamorous wife, Pam. The police don't buy the suicide angle and focus their attention on Eversleigh and his wife Judith as obvious suspects. The POV is Judith's, as she tries to make sense of the tragedy and does some sleuthing on her own to prove her innocence. After two attempts on her life and her husband's continued protectiveness toward Pam, Judith begins to wonder if the greatest danger to her life and liberty lies a little too close to home. Although set in New Zealand, the book is rather scant on setting details, and at times the plot has a bit of a generic feel to it, as if it could have been set almost anywhere. The characterization and plotting are also a bit on the light side, but Messenger throws in just enough uncertainty and damsel-in-distress elements to keep you turning the page. Although most of British author Margaret Yorke's novels were standalone works of suspense, in 1970 she created her one serial protagonist, Oxford English literature don and amateur sleuth Dr. Patrick Grant, who appeared in five total novels including "Silent Witness" (1972), "Grave Matters" (1973), "Mortal Remains" (1974) and "Cast for Death" (1975). Yorke chose the fictional St. Mark's College as Grant's employer and often called on her own job as a college librarian for setting and character details. 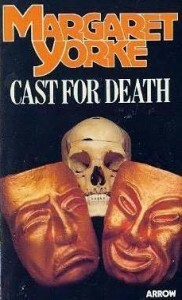 Yorke's novel "Cast for Death" is the final installment featuring the handsome, absent-minded professor Grant, who has a habit of quoting Shakespeare. In fact, Yorke herself once admitted she was "nutty about Shakespeare and mad about "Macbeth." The plot centers on the death of actor Sam Irwin, whose body is discovered in the River Thames, an apparent suicide. Grant, who is a friend of Irwin, doesn't buy the suicide angle. After all, why would Irwin have taken his own life shortly before opening in a new play at the Royal Shakespeare Theatre at Stratford? 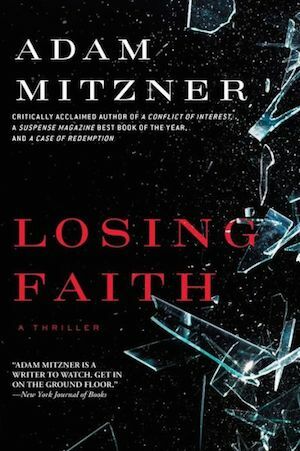 In pursuing the truth, Grant links seemingly unconnected events including the death of a dog, a second suicide and a series of art robberies. Ultimately, Grant's very life is threatened in a denouement concert at the Festival Hall after he uncovers a deception of theatrical proportions. But Grant's personal philosophy drives him in his quest, mirroring a quote from Edmund Burke used toward the end of the novel, "All that is necessary for the triumph of evil is that good men do nothing." British writer Audrey Erskine Lindop (1920–1986) wrote the first of her eight suspense novels in 1953, with three of them later made into movies, including I Start Counting (featuring a teenage Jenny Agutter in her first big-screen starring role). The novel itself went on to win the Grand Prix de Littérature Policière - International Category in 1967. I Start Counting centers on 14-year-old orphan Wynne Kinch, growing up in during the prosperous but tumultous 1960s Britain. Her working-class family—which includes her aunt by marriage who she calls Mum, her granddad, and her cousin—had been evicted from their Collins Wood home to make for a new development. But even after moving to a brand-spanking new high-rise council flat, Wynne sneaks back to the old beloved homestead, and it is there that a mystery begins to unfold. Wynne has an intense crush on her 32-year-old stepbrother, George, and finds he's been in the old Collins Wood place recently and had lied about what he was doing. When she further spies on him, she sees scratches on his back and finds a bloody sweater he threw in the trash, making her suspect George is the serial strangler of several local teenage girls. Her loyalty to him and her attempts to protect him eventually draw the attention of the police, throw the members of her blended family into turmoil, and ultimately lead to tragedy. The title I Start Counting refers to Wynne's philosophy of counting to "drown out the thought that was scaring you," yet the novel itself isn't a dark thriller, but rather a coming-of-age tale with warmth, humor, and an entertaining cast of characters that incluces Wynne's boy-crazy pal Corinne, Wynne's doom-laden sister Aunt Rene Tyndall, George's high-strung half-brother Len, Wynne's cousin Helene, and her north-country "Mum." But the story would fall apart if it weren't grounded in the POV of the intelligent, funny, passionate Wynne, who Lindop has painted with a wholly sympathetic brush. Robert Furneaux Jordan (1905–1978) was an English architect, but in 1945, he published a detective novel under the pen name Robert Player, and eventually wrote four more standalone mystery novels over the next 32 years. 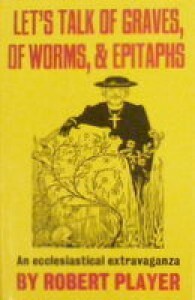 In the Foreword to the Black Dagger edition of Player's novel Let's Talk of Graves, of Worms and Epitaphs, author and past CWA Chairman Robert Richardson noted that Player's name rarely appears in standard works about the genre, but "there is an inescapable feeling that, had he devoted himself to writing, he would be recognized as, if not a master, then certainly a gifted and entertaining talent. Literate and ingenious, his books have originality and a capacity to attract." The novel opens with the line, "It is not every man whose father was both a pope and a murderer." The pope in question is Barnabas Barbellion, a distinguished Anglican clergyman who converted to Catholocism and later became Pope Paschal the Fourth. But years prior, Barbellion was married with two children and also having an affair with Philippa, the wife of his neighbor, Harold Gatsby. When Gatsby is poisoned to death at a croquet party, Philippa is accused of the murder a sensational trial ensues, but no one dares to connect the case with the fact that Barbellion's ailing wife had also died suddenly, except for the narrator, Barbellion's son Augustine Xavier. The title of the novel is taken from Shakespeare's play Richard II about the British king whose greed, thirst for greater power and disdain for both friends and subjects prove to be his undoing. Despite the darkness of that tragedy, Player's novel is actually rather wickedly funny satire, chock-full of intricate details and tricky plotting and character development that culminates in a twist ending. The density of the writing can bog a bit at times, and it's not the type of book that makes for a quick read, but if you're a fan of historical mysteries and religious lampoonery, Player's novel may be to your taste.